The world is still in mourning following the passing of boxing legend and icon Muhammad Ali last weekend. The three-time world heavyweight champion passed away aged 74, following troubles due to respiratory illness. Tributes from across the globe have poured in as people around the world pay tribute to "The Greatest Of All Time". Charming and charismatic, yet at the same time an eloquent man of the people who fought for civil rights, many have spent the days since sharing stories and pictures of their meetings with Muhammad Ali, and what he meant to them. 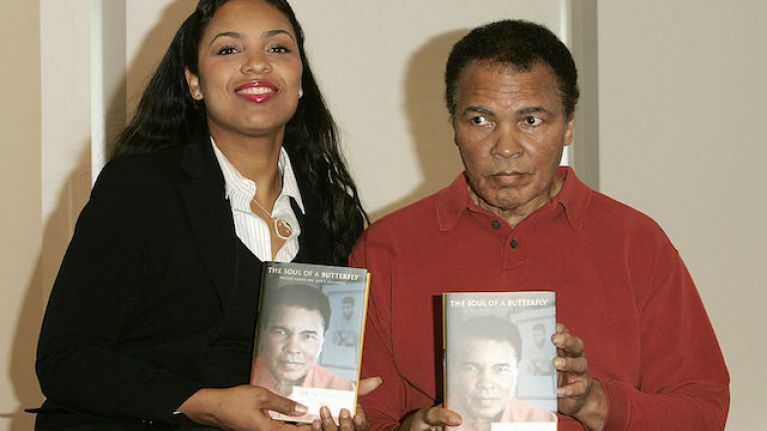 This week saw perhaps the personal and poignant stories of Ali told, as one of his daughters, Hana Ali, began to share with us what her Dad meant to her. 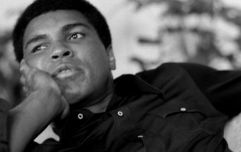 In among her stories is a tender Facetime conversation between the two - the last picture of Muhammad Ali. In another tweeted screengrab, Hana says her dad was watching westerns on TV, while waiting for his wife Lonnie to bring him some cake. Father and daughter are also blowing kisses to one another. Much like British photographer Zenon Texeira's final photoshoot of Muhammad Ali, Hana's picture shows the great man in a different manner to what the public may be used to, but still possessing that one-of-a-kind spark that made him The Greatest. This week it was announced that Britain's former world heavyweight champion Lennox Lewis and actor Will Smith will be pallbearers at Muhammad Ali's funeral on Friday. Up to 15,000 people are expected to attend the event in Ali's hometown of Louisville, Kentucky, as the great man who taught us so much and entertained so many is put to rest.